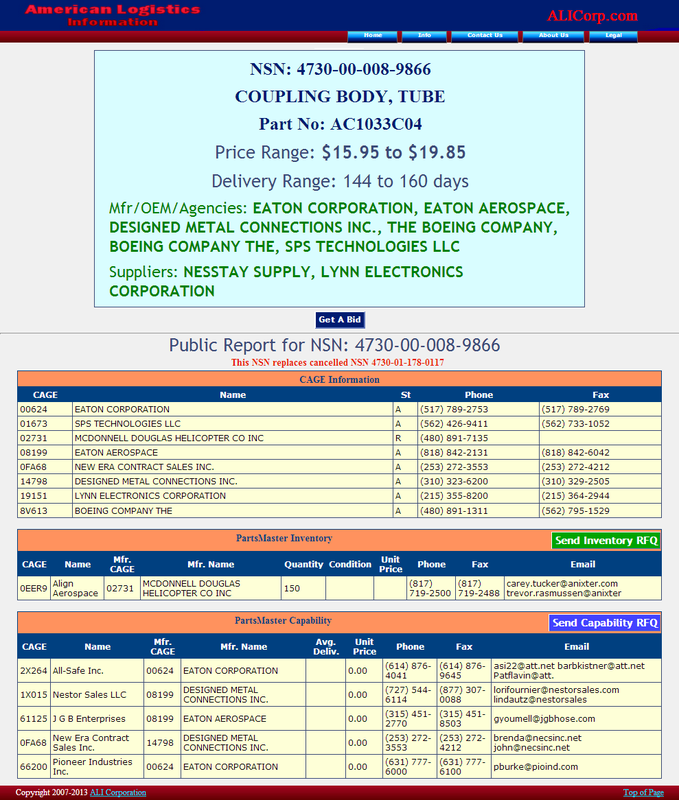 PartsMaster is a database of over 15 million active and cancelled parts used by the United States Military and civilian agencies. 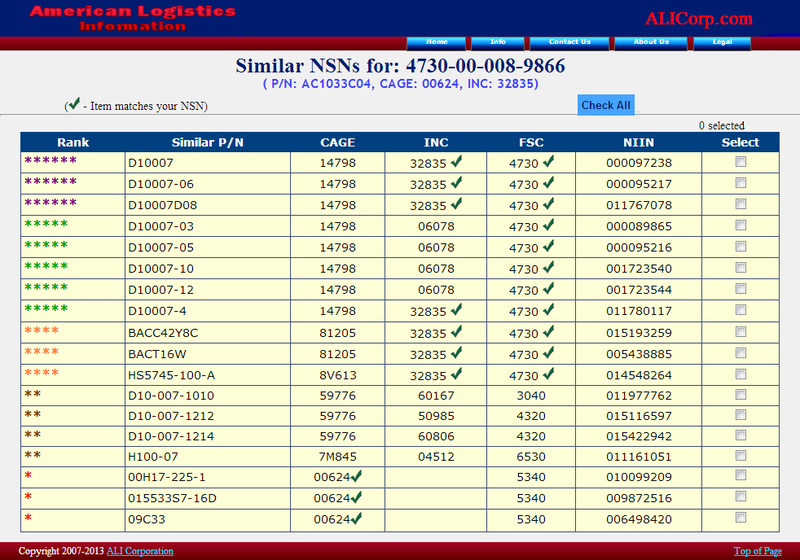 A PartsMaster NSN report is a comprehensive gathering of all related information about a part in a single page. 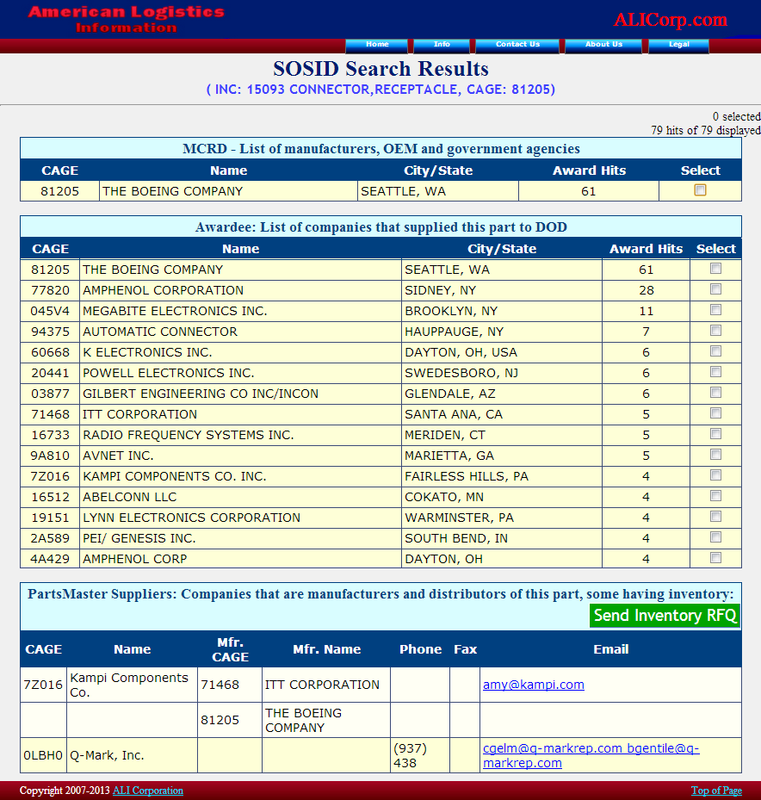 ALI Corp. originally created PartsMaster in 1988 for DoD contractors and OEMs to find research information about a part before bidding. Since then we have added a number of databases to this report and have made it available to both military and commercial clients. Who uses PartsMaster? 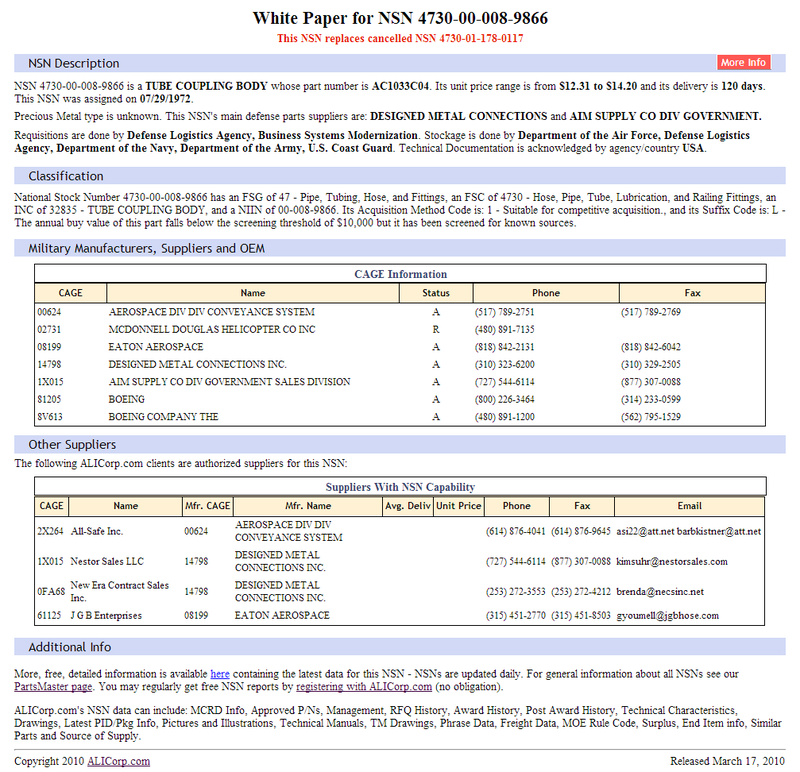 Using the DoD's NSN (National Stock Number), NIIN (NSN without the first four digits), or a Part Number, anyone on the web can find basic information about any part free of charge in an Public Report. For a small fee (as little as 50 cents) PartsMaster will gather information from up to 27 different data tables and present it to you in an easy-to-read Full NSN Report. 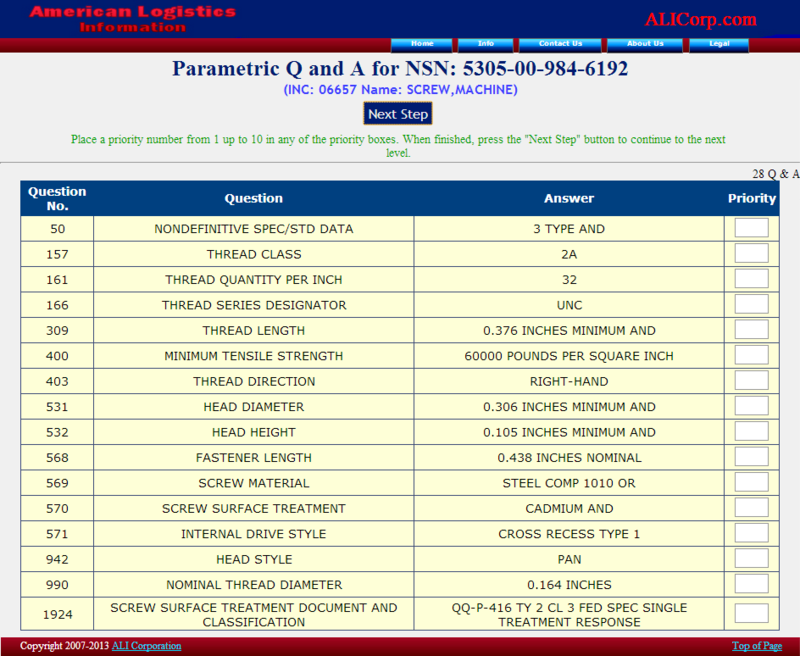 Please note not all NSNs have data in all 27 data tables. 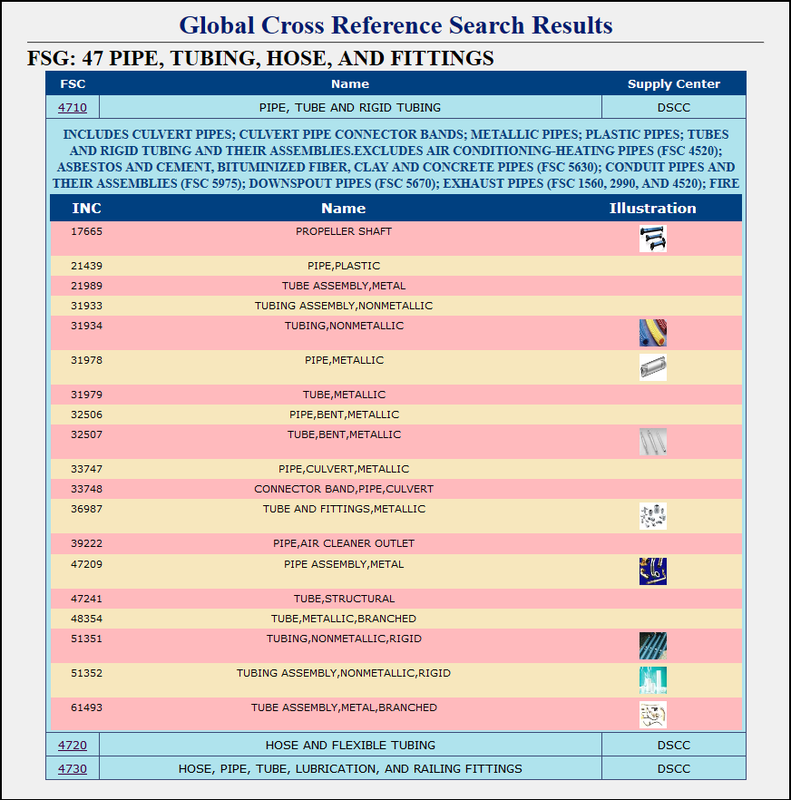 You may always run a free search to see what is available before purchasing a Full report. To purchase these reports, click here. To see a sample Full report click here. To see a sample Public report click here. Of course, some parts are hard to find. 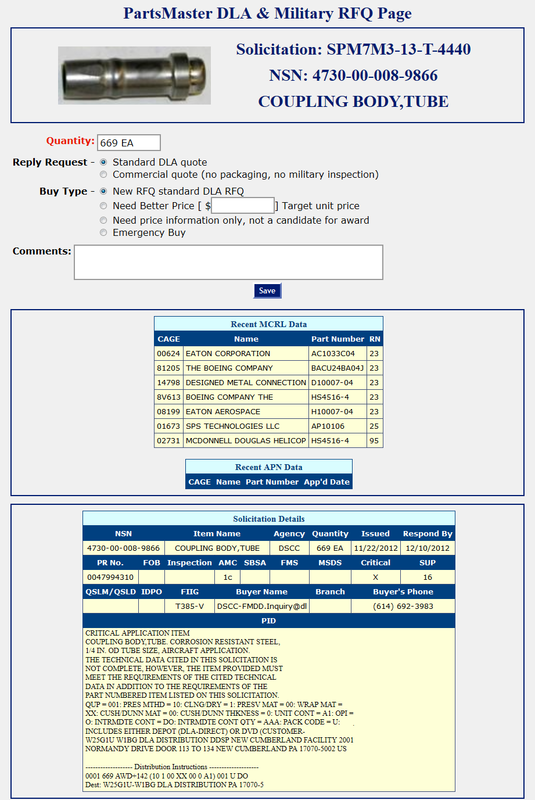 ALICorp.com has a wealth of other reports that can help you locate what you're looking for. These are listed below.